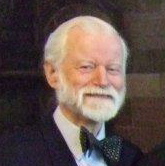 Leslie Griffiths has 40 years experience in development issues: in Haiti, where he lived from 1970-80, he worked in education and led initiatives in: community development, the provision of basic needs, reforestation and spiritual development; later work took him to countries throughout Africa. Currently he is Vice-Chair of the All Party Parliamentary Group on Cambodia in the House of Lords. He has wide experience in education at all levels and involvement in many social projects in the UK. He is known to many as a regular columnist for the Methodist Recorder, a contributor to Thought for the Day and for the inspiring international and culturally inclusive services broadcast from Wesley’s Chapel. With experience as a teacher in Sierra Leone and Wales, Ingrid now runs the consultancy IDEAS (Intercultural Development Education & Arts Services) alongside many community activities. Jonaid Jilani works as Global Media Manager for World Animal Protection, he previously worked as a press officer for both Oxfam and The University of Oxford. 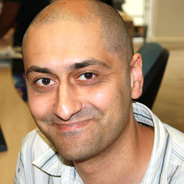 Before joining Oxfam in 2009, Jonaid worked for Muslim Aid as Communications Manager. It was during this time that he was advising OWW on the Ubuntu project. He also has a background in film and video production and has worked extensively with ethnic TV channels in the UK, travelling around the world to document issues of poverty and development. 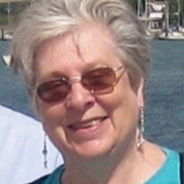 Involved with OWW since 1978, Sarah oversees the Website, and is involved in local OWW initiatives in S.E. Hampshire. She was a University Lecturer (Geography and Development Studies) in Ghana and England, has travelled widely in Africa. 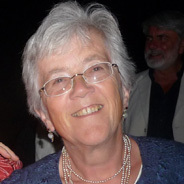 She is also a Trustee of Global Justice Now and Co-ordinator of her local Fairtrade Group. She has been reinspired by Traidcraft's "Meet the people Visits" to Cuba, South India, South Africa and Chile. 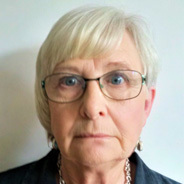 After teaching mainly History in London and for 3 years in Nigeria, Sue retrained as a careers adviser and has worked mainly in the Portsmouth area ever since. She has been involved with One World Week from the start and also chairs the local Fairtrade and Global Justice groups as well as being involved with environmental campaigning. Sue helps maintain our Facebook page. 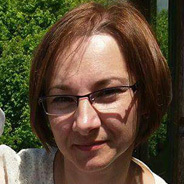 Aneta has been involved as a volunteer with several local community organistions and charities including the Citizens Advice Bureau. Her education in finance and experience of volunteering enabled her to become the bookkeeper for a local community centre where she met Ingrid. She is now OWW's bookkeeper. Roger was a VSO teacher in Ghana, worked in business delelopment in Tanzania, and in marketing for various companies in the UK. He has a lifetime of commitment to the Scouting Movement. He has been involved with OWW locally and through his role as Secretary to the Global Justice Now Trust. His role with OWW is as Secretary to the OWW Working Group which works with OWW's partners and supporting organisations. She enters events onto the website calendar.